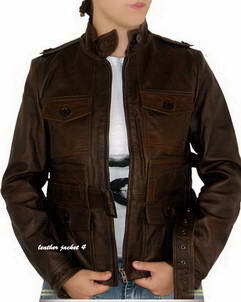 Ladies are known to be picky and particular towards their style and put lots of effort and intelligence when it comes to fashion. 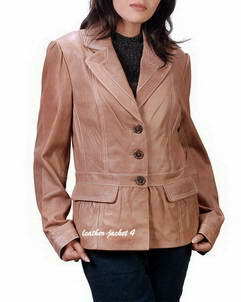 Their fastidious sense of style is all enough to set the trend in a market. 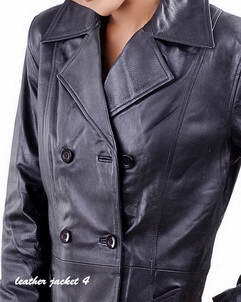 Women indeed prefer to look gorgeous in all seasons is the high time to celebrate your femininity with a bold women leather jackets by being warm and cozy in chilly ambiance. 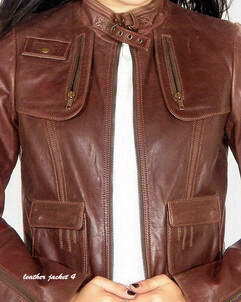 These leather jackets are crafted by hide of cows and sheepskin etc. 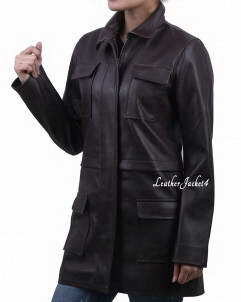 which helps to maintain high quality and long-lasting persistence, so that you can enjoy these outfits years long in single investment. 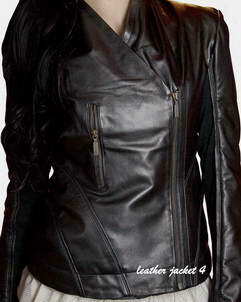 Women's leather jackets are trendy, fashionable and exciting choice for winter outerwear. 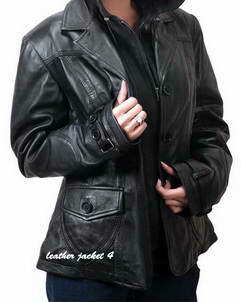 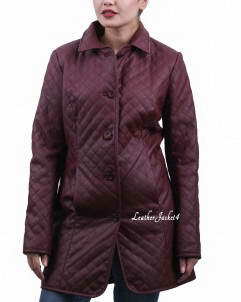 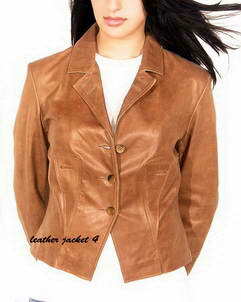 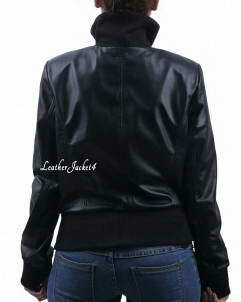 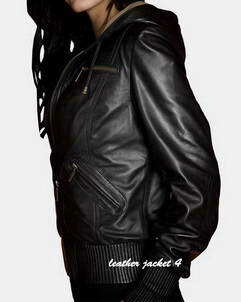 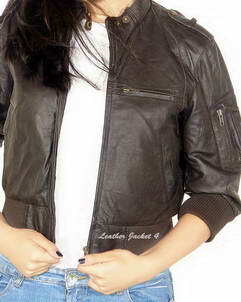 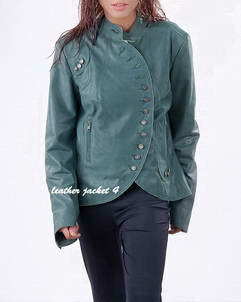 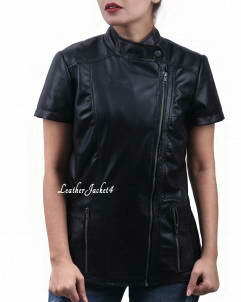 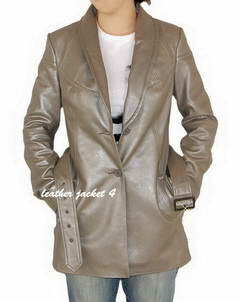 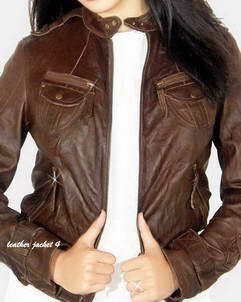 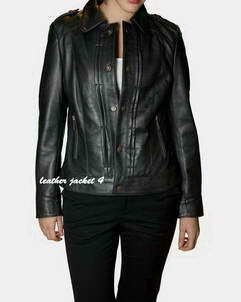 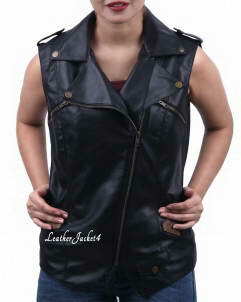 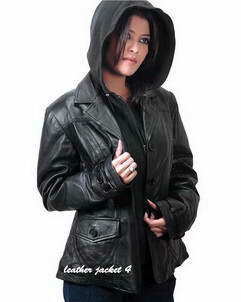 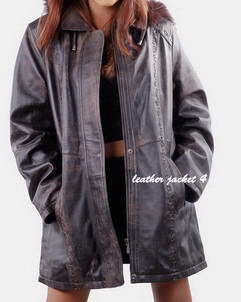 LeatherJacket4 presents you the wide assortments of leather jackets for women that is as popular as ever before. 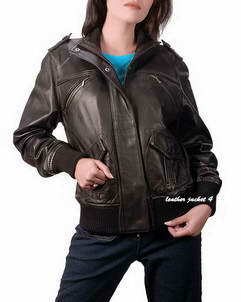 Sleek and shine women's leather jackets are brought together at a single online shop where every style is featured as per buyers need and convenience. 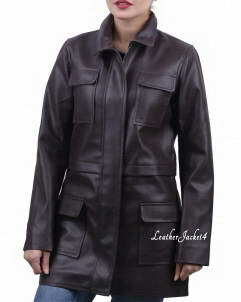 Be it a popularly worn black leather jacket for women or a short-fit cropped women's leather jacket, we have a versatile collection of women's leather jackets to showcase your personality the way you like. 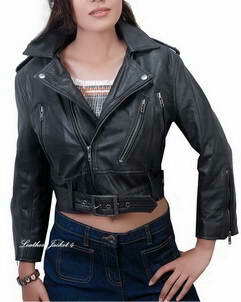 It is all up to you if you rather choose a vintage women's jacket over modernized version of short fit cropped leather jacket for women, each expresses the fancy and fabulous aspect of your personality depending on your mood to flaunt your unique feminine self of you. 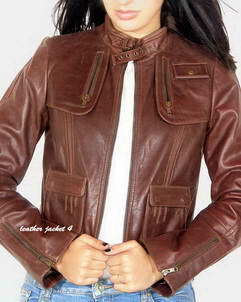 For an extremely expressive and bold appearance, you may go with a glossy red leather jackets womens' or you might be interesting to display a humble appearance with a brown leather jacket women's. 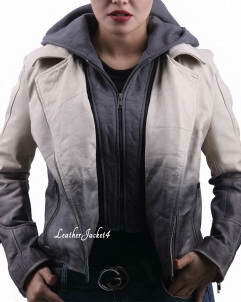 Heading to casual hang-ups with friends or it's a drink night out, check out some exciting range of studded leather jacket for women or get it custom made the way you want with our custom jacket option. 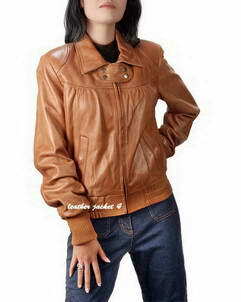 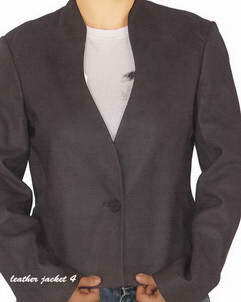 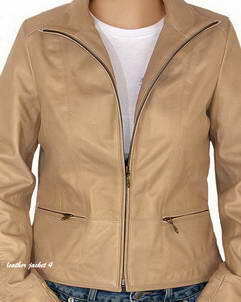 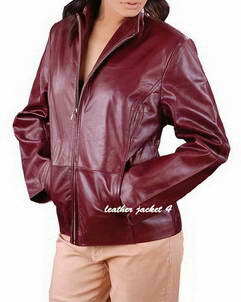 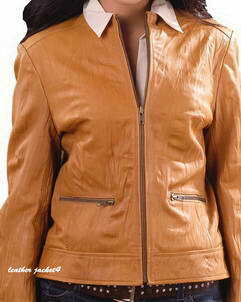 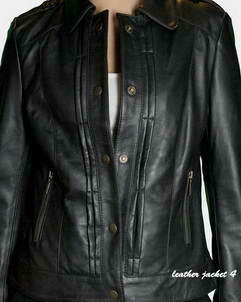 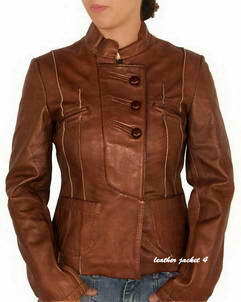 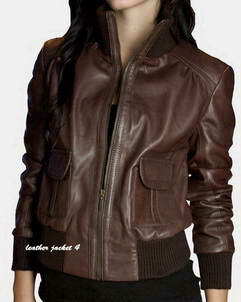 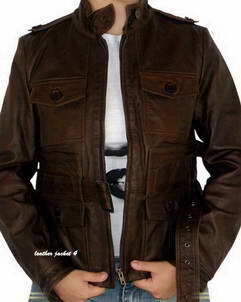 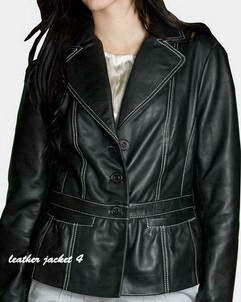 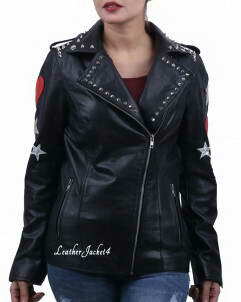 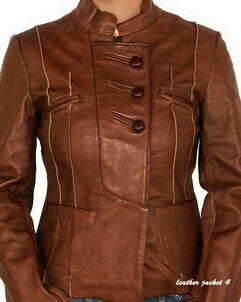 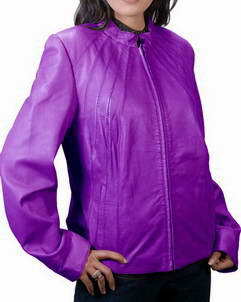 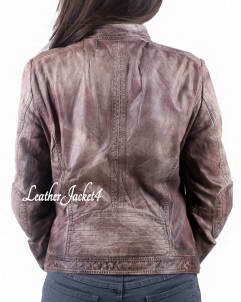 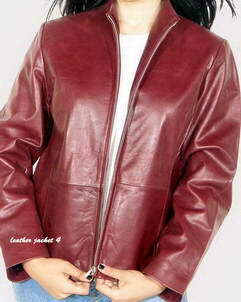 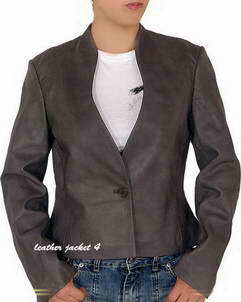 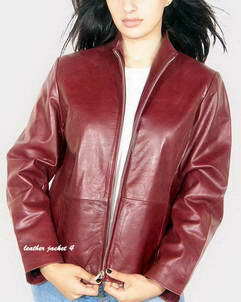 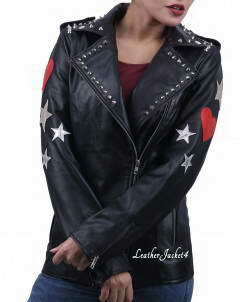 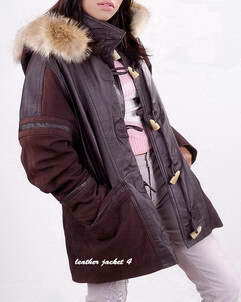 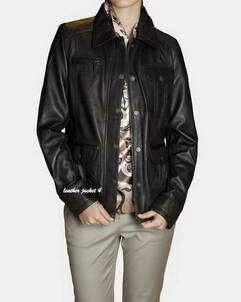 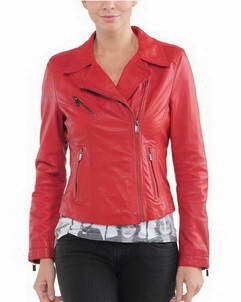 Leather jackets for women come in versatile range of styles, designs and quilt detailing with your choice of colors. 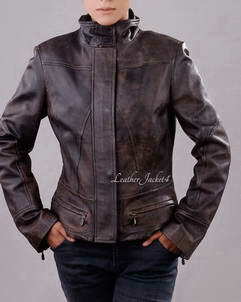 Womens' leather motorcycle jackets are never fading wardrobe essential, especially the young girls love to have at least one leather moto jacket in their closet. 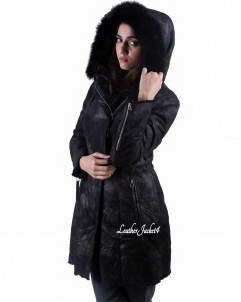 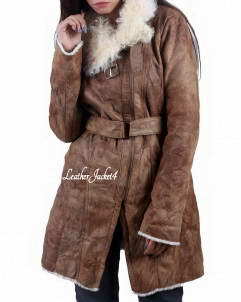 Then it comes to hooded leather jacket women which forms a cozy experience while covering your whole head under sensational warmth of viscose lining or faux shearling both makes it warm and comfy. 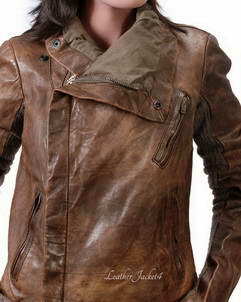 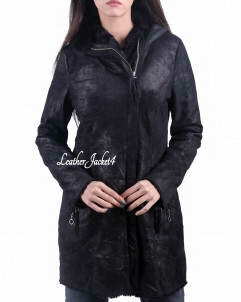 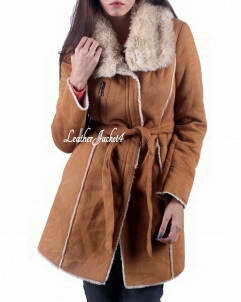 So, be cozy and feel the calmness by wearing a fancy piece of hooded leather jacket in chilly winter days. 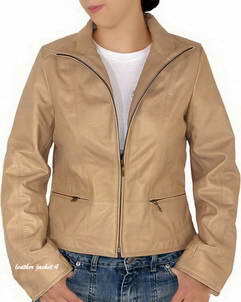 Women's style is all about fancy embellishments and glossy finish but at very moment, they wish to wear outfits which are seasonal accurate and equally durable, thus, our women's jacket collection also complements with ever trending women's full-length shearling coats, as well as the collection is adorned with always popular womens' bomber jacket with faux fur lining and is made from real leather of your choice.